In these lessons, students will learn how to read and respond to the text of the play. This will help them to gain crucial close-reading skills. Tasks include: reading verse and prose extracts; finding examples of literary terms in crucial scenes; and performing a close reading of Act 5, Scene 1. Do I understand the basic plot and structure of Macbeth? Ask students to summarise the plot of Macbeth as a mini-saga, and share and compare students’ different versions. Which parts of the play emerge from this exercise as essential to include in their own stage production? whether they would cut lines from lots of different scenes. Act 2 Scene 4: This scene does not really move the action on but how important is it? Would you cut it? Direct students to look at the Script Machine activities from the microsite 2011.playingshakespeare.org/language, and opt for ‘Director’s Edit’. Divide students into groups and allocate one of the key scenes to each group: Act 1 Scene 3, Act 2 Scene 2, Act 3 Scene 4, Act 4 Scene 3, Act 5 Scenes 8 & 9. Students can see how numerous passages from the play have been cut for one past production. What conclusions can they draw about what has been cut and why? To what extent has Banks’ advice been heeded? If there is time, students could look at a scene, e.g. Act 2 Scene 4, and decide where cuts might be made. What are the main events in the story of Macbeth? 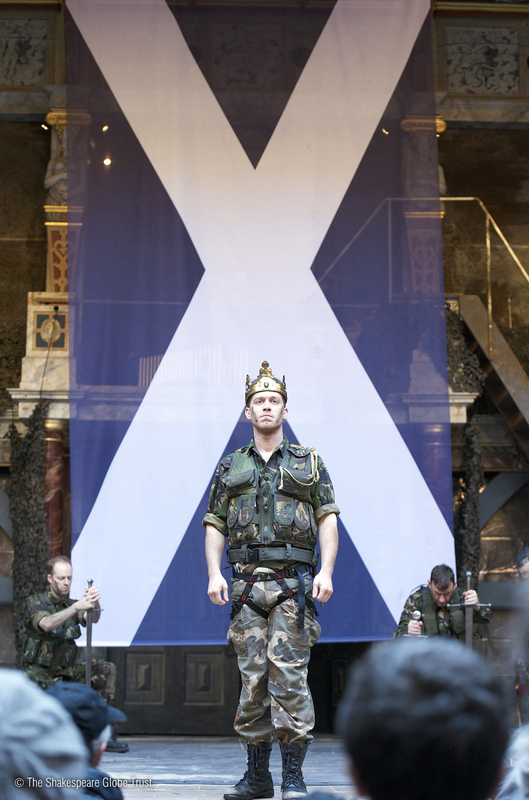 What would audiences most enjoy about a production of Macbeth? Encourage students to think about what they as an audience member most enjoy about going to see a Shakespeare play/or Macbeth specifically, and to distil their thoughts so they are left with just five points, e.g. Compare students’ different ideas and identify any common emerging themes. This quiz about the storyline of Macbeth could be a useful tool for consolidating textual knowledge, for retrieving information from the text and for revision purposes. It is also available in the Student Booklet, and the answers are available in the downloadable Lesson Plans at the bottom of this page. What sort of place is a ‘heath’? What title is bestowed on Macbeth in Act 1? What do the witches prophesy about Banquo and Macbeth in Act 1 Scene 3? By what mean does Macbeth inform his wife of his encounter with the witches and their prophecies? Where in Scotland is Macbeth’s castle? What are the names of the King Duncan’s sons? What is a chamberlain and what does Lacy Macbeth do to Duncan’s chamberlains? Who returns the murder weapons to the scene of the crime and what kind of weapons are they? Who opens the gate of Macbeth’s castle to Macduff and Lennox very early the next morning? Who finds Duncan’s body and cries ‘O horror! horror! horror!’? To which two countries do Malcolm and Donalbain flee after the murder of their father? Who becomes King and where does his coronation take place? Whose murder is Macbeth plotting when he says ‘To be thus is nothing, but to be safely thus’? How many murderers does Macbeth employ? Who escapes the murderers in Act 3? Where is Macbeth when he sees a vision of Banquo? Who does the first apparition tell Macbeth he should fear? What do the second and third apparitions tell Macbeth? 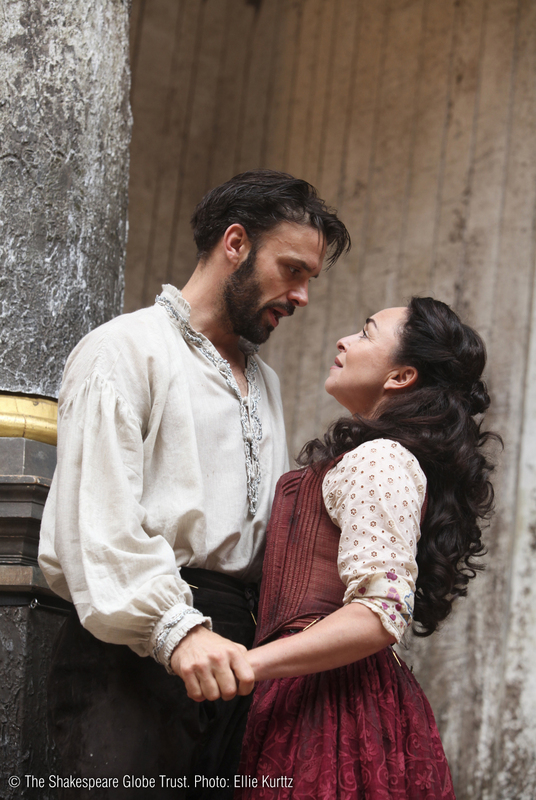 What happens to Macduff’s ‘wife, and babes’? Who starts to act strangely at the beginning of Act 5? Which two pieces of terrible news does Macbeth receive in Act 5 Scene 5? Who turns out to have been ‘from his mother’s womb/Untimely ripped’? What does Macduff hold up for all to see in the final scene of the play? Who becomes king at the end of the play? Some excellent resources to support students’ understanding of and engagement with the play’s storyline are Tony Bradman’s prose retelling, and the three differentiated graphic novel versions of the play (quick text, plain text, original text) produced by Classical Comics. There are more materials within the Key Stage 4 lesson plans relating to the different genres of Shakespeare’s plays i.e. tragedy, comedy, history. In her book Creative Shakespeare, Fiona Banks suggests a heavily edited version of Macbeth that a class could perform before, during or after more detailed study of the play (see the Student Booklet). 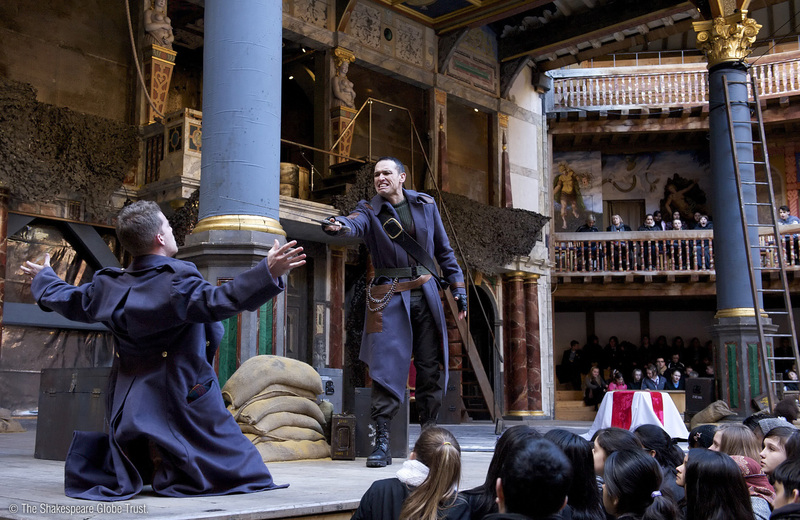 This activity gets all students involved in speaking Shakespeare’s language and gives them an experience of working from a script as the basis for a performance. Witches: All hail Macbeth that shall be king. Lady Macbeth: A foolish thought to say a sorry sight. All: A foolish thought to say a sorry sight. Lady Macbeth: Out damn spot, out I say. All: Turn hell hound turn. Macbeth: I will not yield. In Fiona Banks’ book on pp.187-90, there are more detailed notes and questions providing areas for discussion and interpretation with the class. Divide students into groups and assign each group of students one of the following extracts (which are available in the Student Booklet), e.g. David and Ben Crystal’s Oxford Illustrated Shakespeare Dictionary contains over 4000 Shakespearean words with examples from the twelve most studied plays including Macbeth. This matching activity will support students’ understanding of some words from the play that we don’t use in modern English, though some have developed into words we know today. This is provided in the Student Booklet and in the Modern Meanings PowerPoint (available in the Downloads section at the bottom of this page). Students might like to try this matching activity to support their understanding of the language of Macbeth. All of these words look reasonably straightforward for 21st century readers. But what exactly do they mean in the play? This is provided in the Student Booklet and in the Modern Meanings PowerPoint. Students should reflect on the clues they used to help them in this activity, including analysing the word itself and considering the word in context. They could also devise their own matching activity, e.g. to support understanding of a particular scene. Having answered the questions for Activity 3: Conversations, students could then annotate the scene with directions for the actors playing each part. This could be an extension or homework activity and could be the basis of an assessment task. For this close reading activity, a scene which features passages in both verse and prose is necessary and so Act 5 Scene 1 of Macbeth works very well (this is included in full in the Student Booklet). The scene should be broken down into three chunks of roughly 25 lines each. Alternatively, Act 2 Scene 3 could also work well for this activity. Revise the meaning of the following literary terms: alliteration, assonance, onomatopoeia, rhyming couplet, repetition, simile and metaphor. (The quick matching activity provided here might support you in gauging students’ prior knowledge in this area.) Share Rex Gibson’s ‘Macbeth miscellany’ with students, which is included in the Student Booklet. This is a list of quotations from Macbeth in which Shakespeare uses another language feature: the list. Macbeth – a list of lists! Like a hell-broth, boil and bubble." Chief nourisher in life’s feast"
"the swift, the slow, the subtle, the housekeeper, the hunter"
"cabined, cribbed, confined, bound in"
The armed rhinoceros, or th’Hyrcan tiger"
"Maggot-pies, and choughs, and rooks"
"The net, nor lime, the pitfall, nor the gin"
Strike heaven on the face"
"honour, love, obedience, troops of friends"
Students should look for examples of the seven language features they revised earlier, and then choose one to read dramatically accompanied by a tableau. Conclude this activity with a discussion of the dramatic effects of each of the different features used – not forgetting lists! For this activity, students need access to the Script Machine on the Playing Shakespeare with Deutsche Bank microsite for Macbeth: 2011.playingshakespeare.org/language. They should access it on five different screens, e.g. on tablets or laptops or at five different stations in a computer room. Students need to work in groups and each group should be assigned one of these five features or pair of features: alliteration and assonance; onomatopoeia; repetition/lists; rhyme/rhyming couplet; similes/metaphors/imagery. Groups should move in a carousel, visiting each scene and using the Script Machine feature to identify examples of their particular feature or features. (The scenes are Act 1 Scene 3, Act 2 Scene 2, Act 3 Scene 4, Act 4 Scene 3, Act 5 Scenes 8 & 9). Now allocate to each group of students one of the scenes and ask them to carefully read that scene in its entirety. Students should move their discussions on to the effect of the techniques used in the context of the particular scene. Pick an example of a technique from a particular passage and explain its effect. Use the 'pose – probe – bounce’ technique to help students extend their answers and build on each other’s answers. Look for examples in these quotations of the following techniques: alliteration, assonance, metaphor, onomatopoeia, repetition, rhyming couplet, simile. This activity is provided in the Student Booklet and in the Literary Terms PowerPoint (available in the Downloads section at the bottom of this page). Thrice the brinded cat hath mew’d. But bear-like I must fight the course. O, full of scorpions is my mind, dear wife! Rex Gibson writes that Shakespeare followed the stage conventions of his time* about when prose should be used – but reminds us that ‘Shakespeare never followed any rule slavishly’! *1. In proclamations, written challenges or accusations, and letters. 2. For lines spoken by low-status characters such as servants, clowns or drunks. 3. To express madness. 4. For comedy. Students could log their ideas about acting particular scenes and playing particular characters in the Rehearsal Diary pages of the Student Booklet. This could be the basis for an assessed piece of work.